When I received an email asking if Little Miss M would be intersted in joining a new 3-day Natural Resources Camp, I could barely finish the letter before replying with a yes. However, finishing the letter was beneficial. Apparently, I am now considered part of the "media" and since this is a brand new, not open yet, camp/after school program, I was invited, along with other media kid's to join in the pre-trial class at no charge. I majored in Environmental Science at University. The outdoors and sustainability have always held a special spot in my heart. So, needless to say, I was thrilled to have the opportunity for my little princess to learn about it all, as well. She LOVED it! She keeps asking if she gets to go back to her 'new school' or if she is going to her 'old school'. 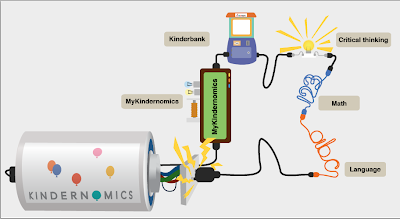 She continues to tell me that when I am done with the milk carton, she can bring it to school to recycle and she will get Kindercoins. 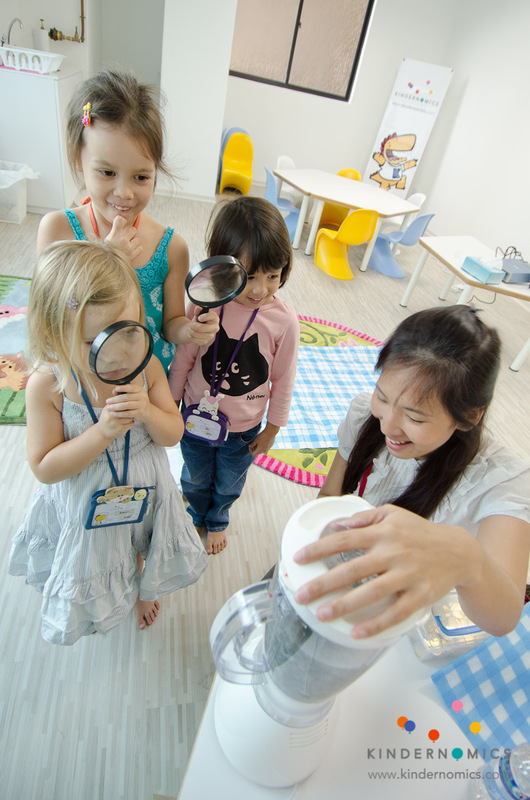 It is amazing how different approaches can stick in those little minds so well. 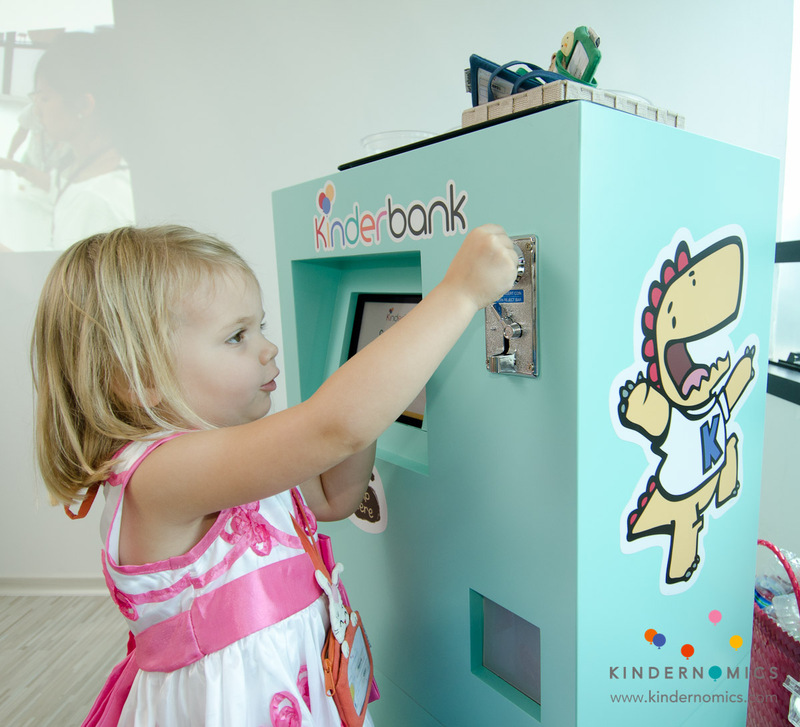 Depositing her kindercoins to her Kinderbank account. It truly is brilliant. The kids bring in their recycled goods from home, earn kindercoins for the items they bring. 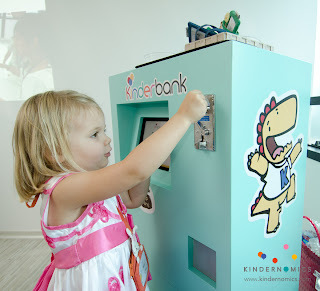 Then, they use their kinder name badge card to log into their Kinder bank account to deposit their earnings. They save up for special treats and are allowed to withdraw their coins and spend them as they choose. Baking cookies after learning where the ingredients came from and what the original plant looks and smells like. The end of camp festival. 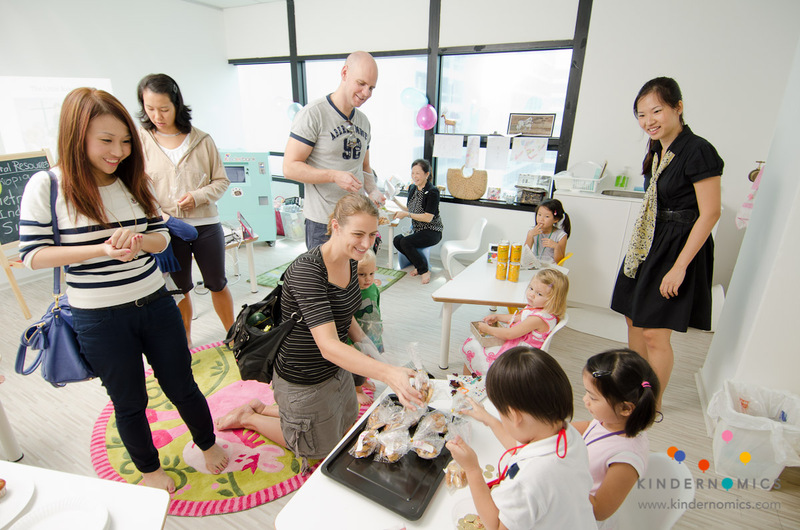 The kids had booths set up selling their goods and also had games for their families to use kindercoins to play. The kids came up with their own prices for the goods. We were told that Little Miss M was set on her prices and would not budge....let's just say that a $600 cookie better be a pretty good cookie! Lucky for us, she was in charge of the 'knock the can over for a prize' game. I am buying a bag of cookies from the students. 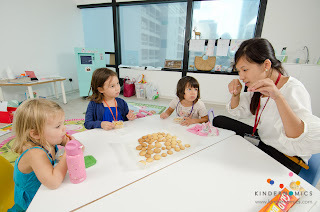 Kindernomics has put together a brilliant lesson plan for an after-school program and also offers short-term camps that truly seem to put everyday tasks into a form that the young kids can connect with. We will definitely be looking into more interactive classes for Little Miss M to join at Kindernomics! 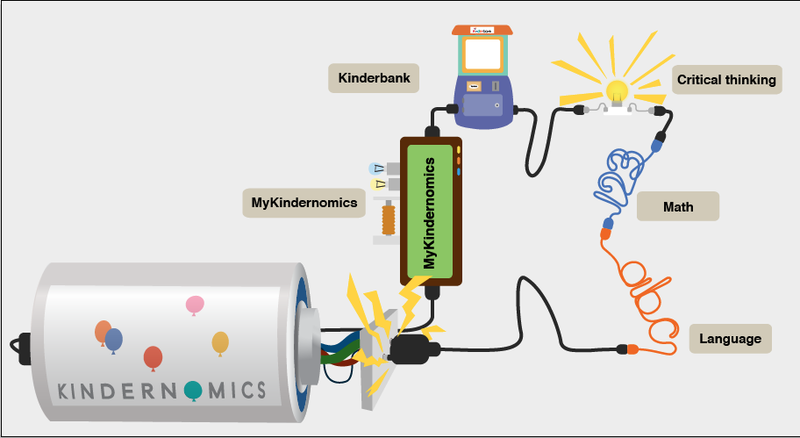 Kindernomics is located at the Forum Shopping Centre, Singapore. They are currently putting their classes together to get the program started.